Fr. Anthony Yao Shun for Jining,; Fr. Stephen Xu Hongwei for Hanzhong,. Both had already been chosen by the Holy See years before. Both elections took place in a hotel, under the full control of the local civil authorities, with a single candidate imposed. There does not seem to be a need for the chosen ones to be presented to the pope for approval and appointment. Perhaps only for sheer formality. 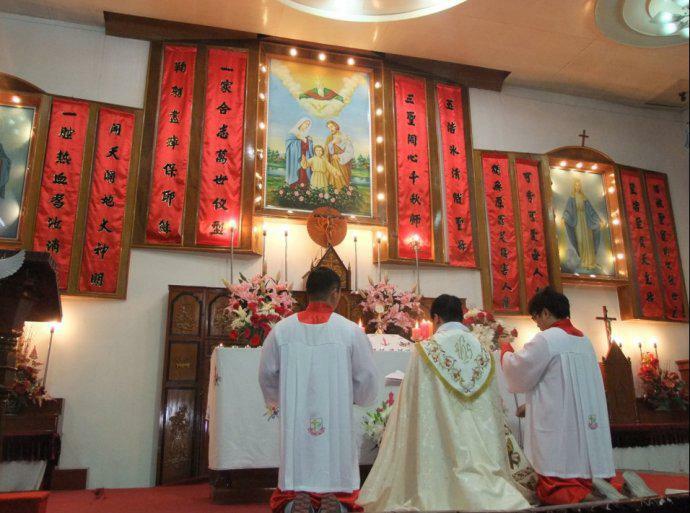 Hong Kong (AsiaNews) – On April 9, the ex-vicar general, 54 years old Fr. Anthony Yao Shun, was appointed ordinary of the diocese of Jining (Wumeng), in Inner Mongolia. The ceremony took place in a hotel under the full control of the civil authorities, but chaired by Msgr. Meng Qinglu, bishop of Hohhot, the provincial capital. Fr. Yao was the only candidate proposed and was voted by 29 priests, 4 nuns and ten lay people. On April 11, in Hanzhong (Shaanxi), Fr. Stephen Xu Hongwei, the 44-year-old parish priest of the cathedral, was elected episcopal candidate for the diocese of Hanzhong. This election also took place in a hotel under the full control of the civil authorities. The voters, chaired by Msgr. Dang Mingyan, bishop of the provincial capital, Xi'an, were 27 priests, 3 nuns, 23 lay people, some of whom were proposed by the government, and the candidate, in this case too the only one, obtained 52 votes. The procedure of both elections was similar: they took place in a hotel, under the full control of the local civil authorities; presided over by the bishop of the provincial capital, with the diocesan clergy, representatives of nuns and lay people as voters, with a single candidate. However, both had already been accepted by the Holy See years before the Provisional Agreement between the Vatican and China. Despite being the first elections of episcopal candidates after the Agreement, they reveal nothing new, since the candidates had already been approved by the Holy See and there was only one candidate imposed. The election was therefore quite formal and not very democratic, as well as being conducted in all respects according to the procedure that was followed before the Agreement. There does not appear to be any need for the only candidate to be presented to the pope for approval and appointment, or if it is done, it will be purely for formality. It was hoped that the procedure for new elections of episcopal candidates would reveal more details of the 'secret' content of the Agreement, but given the particularity of these two elections, this has not been the case and the details of the contents of the Agreement still remain secret. The procedure followed does however reveal problematic elements: the event is conducted under the full control of the civil authorities and in a secular environment, almost like a civil event; although it is called democratic election, in fact it was not, as it was not conducted according to the requirements of canon law. On the positive side there is the fact that the Chinese authorities have accepted and supported the candidate that the Holy See had already approved, and for this, we must thank the Lord. It could be the only positive effect of the Agreement, although similar decisions had been made by the civil authorities even before the Agreement. 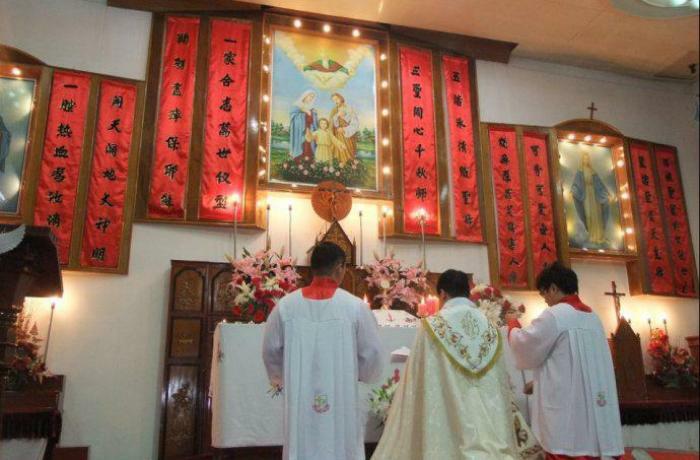 Assembly of Chinese Catholic Representatives extolls "independence and autonomy"
Episcopal appointments: the pope’s big gift to the Chinese Church?